​These are questions you might be asking if you’ve never been to Quebec City and maybe only vaguely heard about it like I did until I signed up for the Women in Travel Summit (#WITS18) and found out there is a lot more to discover about Quebec City. The WITS18 conference was held at the Fairmont Chateau Frontenac in Quebec City, Quebec, Canada on May 4-6, 2018. It was open to all travel bloggers, 80% who are women. It was a first-time event for me and I was eager to go and get in the know. Looking at the flight routing from Dallas to Quebec didn’t seem too difficult although my choices ended up being limited, because I fly stand-by due to my airline connection. At first it seemed like I would be going on Air Canada changing planes in Montreal. But those flights filled up and I was left scrambling last minute (such is the life of a non-rev) So I re-booked and took the chance to get into Newark airport. There are several flights on United Express, Air Canada and others who fly into Montreal or Quebec City directly. I thought it would be easy. But once I got to Newark the United Express flight was literally cancelled last-minute due to FAA air traffic concerns. I had to hustle my next flight on Air Canada to Montreal. (Note: Montreal is also in the #QuebecRegion not to be confused with Quebec City) I made it even though visibility was less than 1 mile and we made zig-zags and circles for an extra 20 minutes en route due to the weather and air traffic congestion. (Looking at the squiggles we made on mobile flight radar was like looking at a 3-year-old’s Etch-A-Sketch drawing) Instead of taking a propeller jet on the last stretch to Quebec City, we booked a bus as it was only 3 hours away to get there. (My companion was suffering with ear problems due to pressurization) It’s important to know that Quebec City Airport is not a huge international airport, thus, the airline carriers into it are regional and usually involve prop-jets. There is also train service between Montreal and Quebec City on Canada’s VIARAIL. More about that later. 20 hours later I was finally entering Quebec City at midnight via Taxi. The night sky was clear and bright. The winding hilly road up to the Chateau made it feel like we were going somewhere special. Voila! We reached the top, not just of the entrance to the Chateau but to the WITS summit as well. We were here at last. From the moment the taxi stopped, and the darkly bearded young Canadian fellow greeted me in a lovely French way, I knew I was going to enjoy this adventure. My French speaking is limited but fortunately Canadians are bilingual French/English. No worries about communicating with the locals and much less difficult than speaking to a Parisian for the first time. I got a room with a view, literally, of the magnificent St. Lawrence River. I can only imagine what the view must be like in Winter with everything snow-covered. I suppose I will have to go back in January to find out when the Carnaval de Quebec takes place. ​The next morning, I missed the hotel breakfast, so I sauntered out to find a place the concierge recommended which was the L’Omelette restaurant (which for some reason, in my tired head, sounded like LUMLETS) but instead came upon a lovely little café called the Petite Chateau. It was literally right next to the Frontenac Chateau and we got a satisfying, hearty breakfast for a reasonable price. Back at the hotel, the lobby was bustling with dozens of people, most I assumed, were here for the WITS conference. I spied the sign for my History & Heritage tour and introduced myself to the guide, Michel. Only a few women were present for this tour (out of 16 signed up) so we ended up with about 7. Michel took us outside to the starting point across the street and in the nearby park square. Thus, began our originally scheduled 2.5-hour tour that delved into almost 4 hours with every minute worth it! This was not our guide’s full-time job however he was quite knowledgeable and brought along a self-made binder complete with photos, charts, graphs, and tons of information. ​We learned first about who the statue was outside of the Chateau, perched high above overlooking the river. This was the founder, Samuel de Champlain, of what was originally called the “New France”. Our guide said that the Canadians jokingly refer to him as their “Uncle Sam” just as Americans have a reference to an Uncle Sam too. We learned of all the military history in the area because Quebec City’s location sits right at the narrowest part of the St. Lawrence River. The river extends 800 miles north to the Atlantic Ocean and 1,000 miles south to Duluth, Minnesota. After the French first arrived, they learned from the native Iroquois Indians that Quebec means “narrow mouth of river” (I’m loosely paraphrasing what we were told) The British however wanted to conquer the French and subsequently the 7-year-war of 1759 ensued with the British General Wolfe winning, and the French General Montcalm, losing Quebec City. There are signs of British invasion such as the plaque for the Duke of Kent who was the Father of Queen Victoria I. ​I asked Michel “where were the women?” during all these years of warring over this land stronghold and he launched into the history of how Louis XIV (the Grandfather to the notable beheaded Louis) sent the “Fille de Roi” or daughters of the King, about 800 of them, some were orphans, mostly young women who would marry these soldiers and start families thereby growing the French population in Quebec City. Michel even showed us his family tree and proudly exclaimed he was related to an original Fille de Roi about 10 generations back. Our group also learned about the importance of 2 types of Catholic Nuns who also first settled in the area; the Ursulines and the Augustines. The Ursulines were the educators and the Augustinians were known as the “wellness and health” nuns. In the Ursuline Chapel lies the Marie de L’Incarnation who was the first French Catholic Nun to help spread Catholicism in New France in the early 1600’s. ​​As we continued to explore Old Quebec, we sauntered into the Place-Royale area and gazed upon a fantastic beautiful mural, maybe 5 stories high as the building its on, that showcases Quebec’s history. It’s a must see with a tour guide to instantly learn who the key players are in the New France (aka Quebec) history. ​Lastly, we stopped to admire the bust of Louis XIV in the Place-Royale. Near his statue is the exact spot of the oldest stones of the region right in front of the Notre Dame church. So much history to soak in just this one area of Quebec City, in both the Upper and Lower parts of the city. Yet, there was still much we hadn’t seen and would require taking a different tour. 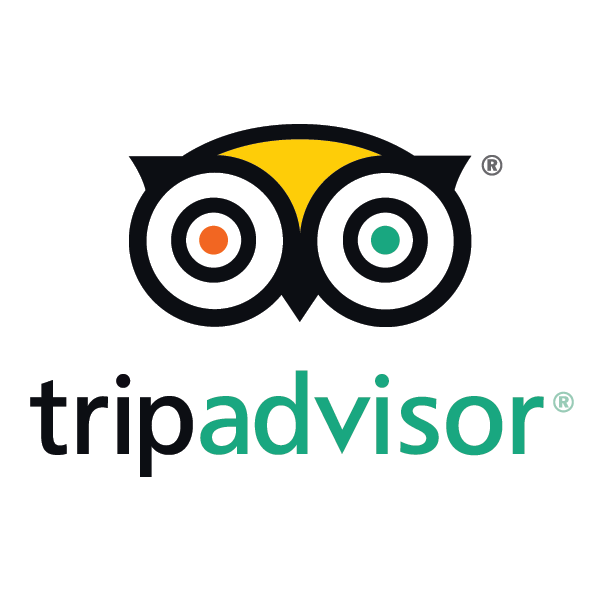 My suggestion would be to check out the tour offerings on TripAdvisor to view what is available in Quebec City. ​In every corner were buffet tables filled with delightful treats and bites of wonderful goodness (not always sure what I was eating but it tasted great!) The Canadian Wine and specialty cocktails flowed from the bar. People were friendly, chatty, and it was great to be there with so many like-minded women entrepreneurs! Our Canadian Hosts were gracious and accommodating at arranging all that they did for us! Merci Beaucoup! Justin Trudeau ate here and so did we! ​On Sunday night, the last night before we were to leave, we decided to go all out and find a place that served a fancy dinner. Yelp (and other reviews) suggested Chez Muffy where Canadian President Justin Trudeau once ate! That review sealed it for us, we had to try it! ​The Chez Muffy restaurant is fabulously tucked away in the boutique Hotel Auberge St. Antoine, a Relais & Chateaux property which means it’s chic yet comfortable. Open-beam wood ceilings with a second-floor black iron staircase leading to more cozy tables. Some tables get a view of the river right where cruise ships will dock during summertime. Our waiter was attentive and described all the specials of the day. When the Restaurant Manager found out I was there for the WITS conference he gave me a personal tour of the rest of the hotel including some newly renovated rooms that are like small apartments. The first one he showed had a fabulous claw foot bathtub right off the huge terrace. Two bathrooms, a pullout sofa with a fireplace, a separate bedroom. Ideal for a party of 4. There are also several conference rooms where you can hold a private party for up to 30 depending on the room. There is even a large private media room that seats up to 50 for private showings. Pretty cool. I like the split-level design this hotel/restaurant offers complete with a gym and spa on one floor. Throughout the hotel you can see remnants and artifacts in display cases which were found after a flood revealed these objects dating back to the 1600’s. The entire atmosphere of the place was laid-back, comfortable, but elegant-chic without being pretentious. Definitely would recommend it if you want a luxury experience. Monday morning I packed up in a hurry (only had 1 carry-on spinner and a purse) to head out to the bus terminal. The Taxi only cost about $9CAD for the 15-minute ride. Upon entering the tidy terminal (not crowded at all) I saw that trains were also available to take so I refunded my bus ticket and bought a last-minute one-way train ticket to Montreal for $106CAD (about $90USD) on ViaRail. The 3-hour train ride was comfortable as the seats were cushioned and a fold-out table for two made the enjoyment of snacks & drinks easier to manage. I wanted to nap but the views along the way were sometimes riveting, watching the rapids rush in the various rivers we passed. ​Upon arrival into Dorval, the area that serves the Montreal Pierre Trudeau International Airport, there was a shuttle that took me directly to the departure terminal. (Included in the train fare cost) My flight wasn’t until early the next morning, so I checked into the Marriott terminal hotel. The dinner I had wasn’t too great and overpriced, so the waiter comped me a new one more to my liking. The room was adequate and had a view of the massive parking structure to the east. There was a lap swimming pool and Jacuzzi, but I was too tired to try it out. The best part for me about staying in this terminal hotel was that all I had to do to get to my flight was take the elevator down, walk a few steps to the airline front desk and check in via the kiosk. It took about 10 minutes. I’d recommend staying in this hotel if you have a layover. Travalerie LLC is the company, Valerie Delzer is the author.